I just received my Lionel Pennsylvania H-10 6-84952. The sounds cut out when going over my Ross switches. Is there a place to install a 9 volt battery? I did not see anything in the instruction manual. Lionel decided to stop putting 9-volt battery compartments in their engines because most people apparently weren’t using them. My H10 does that, but only occasionally. How often does your sound cut out? It cuts out on almost every switch . Is there a thread on how to install a 9 volt battery to a legacy steam engine? I did a search and didn’t find anything. I believe this engine has stero speakers. One in the tender and one in the engine. Will the stero system make a difference with the battery installation? Well, the thread mentioned above discusses that Lionel left the battery wire out of the latest engines. And it discusses what you need to put the pigtail into the engine...connector, etc. Give that thread a try with a response and see if you get more info. I believe this engine has stero speakers. One in the tender and one in the engine. Will the stero system make a difference with the battery installation? No stereo sound on this loco. Just one speaker in the tender. Take cjacks advice about the other thread. Having said that. My h10 was cutting out at random places on my fastrack and the switches. I put a drop or two of Bachmanns ez lube conductive oil on the pickup roller pins and after a few trips around the layout it never happened again. I suspect (at least in my case) some possible contamination inside the rollers from manufacturing. You need one of Gunrunnerjohn's Legacy YLBs. I put one in each of my H10s and the problem was solved. How difficult are they to install? What is the difference between a YLB and a BCR? Do they come in different voltages like batteries? You want the Legacy version because Lionel doesn't supply the 9-volt battery lead anymore and the legacy version has a plug that plugs directly in to the Legacy PCB. You have to trace the pickup roller wire in to the tender and splice the other wire that keeps the capacitor charged to it. Funny thing guys. I"m just working on packaging the first of the "official" run of the Legacy version of the YLB. It'll be up on the Henning's Trains site soon. 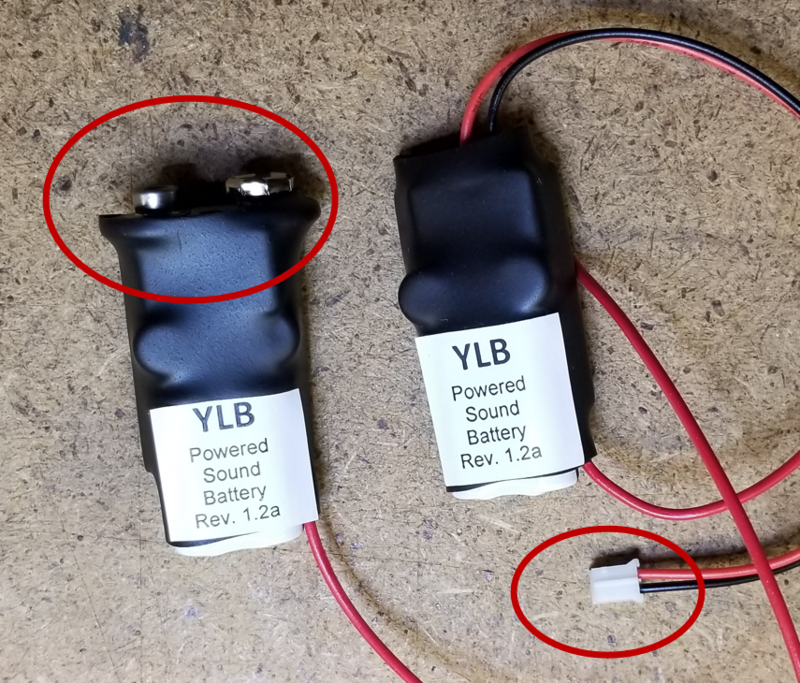 The YLB will be offered in both the battery form (left hand side) and the "RS-Lite" compatible version (right hand side) with a connector for the sound PCB battery connector. Other than the change in the connection method, they are identical products. Will these batteries be at YORK? That's the plan, I'm packaging them now. john/hah please let us know when they are available from hennings for us that will not be at York. Hopefully, early next week they should appear on the website. 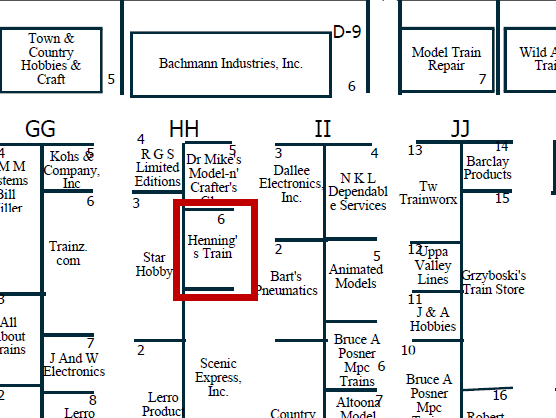 John, what hall are you located in at York and approx location in the hall? Before I apply power I just want to make sure I soldered the YLB to the correct group of wires. There are 2 wires coming from the proximity of the pick up roller. One is black and I think this is a ground and that connects to 3 other all black wires. The one I soldered the YLB to was black with red strip. It was connected to one black and 2 grey wires. Can anyone confirm this is correct before I apply power? Do you just use double stick tape to hold the YLB in place at the top of the tender or is there a better location? You can tuck the YLB anywhere, no real need to tie it down. That should be the right wire. However, if you have connected to the wrong wire, nothing bad will happen, it just won't work. For further info I have the no. 85 road numbered h10 and it is cutting out on random sections as well. For my track it isn't fast track, but atlas. Also, I am sending my in to Lionel so wish me good luck on it getting fixed. Lol. I see the cutting out in the audio a lot, and I don't fully understand why this model would be so sensitive, it uses the same sound hardware as most other current Legacy offerings. I put a drop on each pickup roller pin, and haven't had a single sound dropout issue since. I'm not sure if there was contamination inside of the roller from manufacturing or what, but it worked like a charm. Its cheaper than return shipping as an easy "first step" to possibly solving the issue. If if doesn't help your H10, it will certainly reduce flickering on any passenger cars or cabooses you might have. Does one of yawls rear marker lights on the tender flicker in and out at the same time when the sound cuts out? This happens to me and also when I blow the whistle. 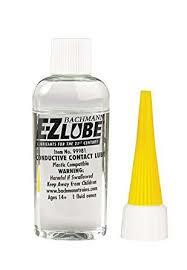 Bachmann EZ Lube conductive oil. It's available anywhere just Google it. Ebay, Amazon, the local hobby shop etc.etc. Gunrunnerjohn, would it be ok if I bring this H10 Pennsylvania to York and hav3 you look at it? I don't really bring tools to York, so looking is about all I can do there. If you're wanting me to work on it, I pick things up at York to save at least one-way shipping. If you exercise that option, make sure it's in a shipping container so it can be returned.